The IBF is are a multi-style martial arts and combat forms association which is represented in more than 30 countries. Formed in Holland in the mid 1960's by Pieter Schonewille, 10th Dan, it is one of the first organizations to promote international competitions for all its members, not just for an elite few. In Australia we have developed specific branches to recognize the modern combat arts and sports such as Mixed Martial Arts and have worked hard to support the martial arts communities with affordable workshops, competitions and training days. The IBF Australia has a huge network of people ready to volunteer their help so if you want to enhance your skills, lost your peer, formed your own style, require information or grading we can help. If you want involvement with our international and Australian martial arts association the IBF Australia encourages members to be active in training days and competitions so contact us and become a member of the society of martial arts Australia has been a part of since the 1970's and give support because united we can build a greater community. "IBF Australia Building a Better Martial Arts Community"
1. Grading and recognition where required. 2. Advice and assistance in workshops, seminars and insurance. 3. International accreditation and recognition for clubs and affiliate organizations. 4. Authorised to award diploma. We are a multi-facet organisation actively involved in supporting the martial arts community. 1. Support the free exchange of ideas, concepts, and techniques. 2. Give members greater exposure to the public with recognition and links to their websites. 3. Support local training days, competitions and interclub visits and to improve martial arts instruction. 4. Build a community of support and recognition within the martial arts community and the public forum. 5. Create local peer groups for guidance and developing good relations. 6. Build good relations with other organizations that may have a different focus or benefit. 7. Be an active organisation in promoting good martial arts events and news. 8. Help with advice and contacts here and overseas. 9. To uphold the integrity of the Budo Charter. The I.B.F Australia is a global martial arts association of like-minded practitioners, coming together for the benefit of the instructors and their students, as well as their particular art. Also we hope to further their own and their students’ knowledge in the martial arts through articles on this site and through workshops. So consider being a part of the longest standing society of martial arts Australia has known and apply for membership. We do research all applicants. * Be fully insured P\L, P\I and Student Accident. * Act and conduct themselves in a professional manner at all times. * Be willing to support fellow members. * Maintain students privacy and confidentiality. * Act always within the true spirit of Budo. * Have no serious criminal convictions. Budo, rooted in the martial spirit of ancient Japan, is an aspect of traditional culture that has evolved from “jutsu” to “do” through centuries of historical and social change. Following the concept of unity of mind and technique, budo has developed and refined a discipline of austere training which promotes etiquette, skilful technique, physical strength, and the unity of mind and body. Modern Japanese have inherited these values and they play a prominent role in forming Japanese personalities. In modern Japan the budo spirit is a source of powerful energy and promotes a pleasant disposition in the individual. Today, budo has been diffused throughout the world and has attracted strong interest internationally. However, infatuation with mere technical training, and undue concern with winning is a severe threat to the essence of budo. To prevent this perversion of the art, we must continually examine ourselves and endeavour to perfect and preserve this national heritage. It is with this hope that we establish the BUDO CHARTER in order to uphold the fundamental principles of traditional budo. 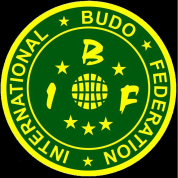 By 1981 interest in budo had become international and the need to establish International Budo University, where people from all over the world could study budo, had become evident. Because of international influences budo had begun to function as a sport. School budo had become more popular because of championships and their promotion. At the same time, the Japanese Budo Association was aware of a growing interest, nationally and internationally, in budo as an expression of traditional Japanese culture. In response to these trends, Goro Yamanaka, a standing Trustee of the Japanese Budo Association, presented a proposal to the Board of Trustees for the creation of the Committee to Establish the Significance of Budo (a tentative name). The proposal was approved on April 16, 1981. The mandate of the committee was to investigate and resolve the question "What is budo?" They began by agreeing to try to clarify what spiritual principals regarding the development of the individual are unique to budo and shared by each do. The next step would be to compare these fundamental budo principals with sports from abroad. The Budo Charter Committee was established by the Board of Trustees of the Japanese Budo Association. They held more than twenty discussion sessions from July, 1981 to March, 1984, and the representatives from each do expressed their opinions and made speeches. The process of clarifying the principals of budo was one of information gathering and consensus building. Four budo scholars gave speeches at various lecture meetings supported by this committee. Eiichi Eriguchi lectured on "Internationalization of Budo and Its Problems," Dr. Yoshio Imamura on "Changes in the Meaning of Budo," Katsumi Nishimura on "Changes in Budo in School Education," and Shinichi Oimatsu on "the Fundamental Significance of Jigoro Kano's Judo (a founder of Kodokan Judo), and the Object of the Austere Training." In March, 1983, the Board published an additional issue of a journal, A Report on Modern Budo which summarizes the progress of this research. Meanwhile, in preparation for drawing up the Budo Charter, the members of the committee obtained cooperation from each do to search for areas of agreement among the do. Beginning in May 1982, a series of articles entitled "An Overall Explanation of Modern Budo" were published by Nippon Budokan in the monthly journal, Budo. In addition, three sub-committees to the Budo Charter Committee were established to study (1) the origin and history of budo, chaired by Tatsuo Saimura, (2) the outlook for unifying budo, chaired by Shinichi Oimatsu, and (3) the image of the ideal human being, chaired by Kisshomaru Ueshiba. In June, 1983, Hiroichi Tsujihara, who had taken office as a standing Trustee of the Board after Goro Yamanaka, took over the responsibilities of researching the Budo Charter. Thus Hiroichi Tsujihara was added to this Committee of Four to Create the Budo Charter. These Chairmen agreed to make a definite plan on the content of the Charter and hoped to make a charter that would become a concrete guideline for austere trainers. In October, 1984, the “Special Committee To Draft The Budo Charter” was formed and Hiroichi Tsujihara was elected Chairman (Kihei Kijima took over in July, 1986). Members are Dr.Yuzo Kishino, Katsumi Nishimura, Goro Hagawa, and Shinji Nakabayashi. The committee has met sixteen times. In order to reach agreement about the principals of budo the Committee studied the papers presented at the conferences of the Japanese Academy of Budo and other symposiums. They presented a proposed Budo Charter to the Japanese Budo and other symposiums. They presented a proposed Budo Charter to the Japanese Budo Association which was responded to by the do s and revised. On January 19, 1987, the Board of Trustees of the Japanese Budo Association approved the Budo Charter. The Budo Charter was established by the collective will of the Japanese Budo Association to encourage the appropriate development of budo. Each "do" has affirmed the charter, but applied its guidelines subjectively, according to its own requirements. (1) art, skill; (2) traditional discipline; (3) teaching or instructing as one was taught. 2. The Chinese character (kanji) for the character "do" (or "michi") is composed of shinnyu, which means foot movement, and shu, which means head. The head faces toward the direction that one intends to go. It should be the road or way that one can go through. From Chinese character, "do" means the way of thinking, the discipline, and the method that one must follow. THE BUDO CHARTER (BUDO KENSHO) It states the purpose and the meaning of budo training. The Budo Charter Committee included the representatives from the following budo disciplines: Judo, Kendo, Kyudo, Sumo, Karatedo, Aikido, Shorinji Kempo, Naginata, and Jukendo. IBF Australia does not allow use of any material/property for the purpose of litigation against the owner or agents. IBF Australia does not make any warranties or representations that material on other web sites to which this site is linked does not infringe the intellectual property rights of any person anywhere in the world; IBF Australia does not authorize the infringement of any intellectual property rights contained in material in other sites by linking this site to those other sites. By entering this site you are deemed to have sighted, understood and accepted these conditions.